We are currently recruiting for an enthusiastic, motivated and compassionate Registered Veterinary Nurse to work at an OOH clinic in Maidenhead. Due to expansion, a friendly practice in Berkshire have a new exciting opportunity for a self-motivated, qualified nurse to join their busy equine clinic.  A dedicated small animal practice in Newbury, Berkshire are looking for a friendly RVN to join their expanding team. The practice pride themselves on their great relationship with their clients. The practice consists of 6 Vets, 7 nurses, kennel staff and a reception team. We are looking for a Registered Veterinary Nurse to join a team at a newly expanded Veterinary Hospital in Berkshire. We are looking for a RVN to join a close-knit team of animal lovers at a recently refurbished small animal practice in Reading. We are looking for a friendly, capable and confident Head Veterinary Nurse for a lovely, recently refurbished and excellently equipped practice in Wokingham, Berkshire. We are seeking a motivated, enthusiastic and caring veterinarian to take on the position of full time out of hours senior vet to work at a busy practice in Wokingham, Berkshire. We are looking for an enthusiastic vet to a busy practice based in Reading. You will be working a 40 hour week over 4.5 days, with 1 in four Saturday mornings. Favourable rota with minimal OOH. Compassionate and enthusiastic veterinary surgeon, with some experience, required to join an expanding team based in Berkshire. You will work a brilliant rota that benefits from a great work/life balance. Senior Veterinary Surgeon required to join a friendly 5 vet team in Berkshire. The practice is modern, well-equipped with advanced orthopaedic equipment, in-house laboratory, ECG, ultrasound scanners, fibroptic endoscopes and digital xrays. This role will provide you with an excellent work-life balance and great benefits and a competitive salary. A fantastic opportunity has arisen for an a Veterinary Nurse to join a busy well equipped practice in Sandhurst. Your new job will be based on a 39 hour rota. You will work with a great team of vets and nurses who are dedicated to promoting the well-being and care of the pets that enter the practice. We have an exciting opportunity for a Night Vet to Locum at a practice in Berkshire. . competitive salary is on offer with other great benefits. You will be able to start immediately. An exciting opportunity has arisen for a confident veterinary surgeon, with strong team spirit. You will join a well equipped 5 vet practice based in Reading with digital radiography, ultrasound and endoscopy. Favourable rota with minimal OOH. Excellent salary is to be offered. 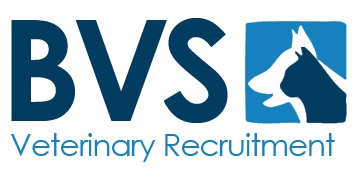 An exciting opportunity has arisen for a compassionate and enthusiastic veterinary surgeon, with some experience to join an expanding team in Berkshire. We have a great opportunity for a motivated, enthusiastic and caring veterinarian to take on the position of full time out of hours senior vet at a practice in Berkshire. We have a new and exciting opportunity for a dedicated RVN to join a close-knit team of animal lovers at a recently refurbished small animal practice in Berkshire. We have a new and exciting opportunity for an enthusiastic, motivated and compassionate OOH RVN clinic in Maidenhead.